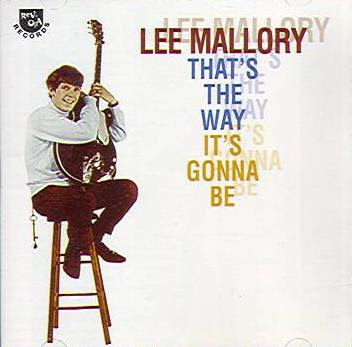 Singer, songwriter, and guitarist Lee Mallory might be best known as a member of the Millennium, the late-'60s sunshine pop group that garnered a sizable cult following with their sole album. Mallory wrote or co-wrote some of the material for the elaborately produced band, which crossed the sound of the 1966-1967 Beach Boys with more pop-oriented Southern California harmony pop. On the Millennium's Begin album, Mallory was the sole writer of the tracks "I'm with You," "Sing to Me," and "Some Sunny Day," co-authoring some of the other tunes as well. Mallory also did a couple of singles under his own name for Valiant Records in 1966-1967. The most successful of these, "That's the Way It's Gonna Be," reached number 86 and was a big hit in Seattle. It was also the most notable of his recording efforts, with a buoyant yet complex production heavy on producer Curt Boettcher's trademark high vocal-harmony arrangements. Surprisingly, this was a cover of a song written by Phil Ochs and folk musician Bob Gibson (and appears in a folk version on Ochs' The Broadside Tapes 1 album), though its folk roots were pretty unrecognizable by the time Mallory and Boettcher had made it over into a densely produced pop/rock single. Mallory had in fact been a folk musician in the early and mid-'60s, though he went in a very pop direction after hooking up with Boettcher. Mallory also contributed to various other Boettcher-associated groups, including the Ballroom, Summer's Children, and Sagittarius.